VMware NSX-T seems to be the game changer for the SDDC deployments as the supported features are not hardware dependent which allows the developers to create more automation projects than previous times. 2.4 has low number of VM’s to be deployed for this solution with simplified UI experience. Reboot-less maintenance mode upgrade and also in place migrations, and transition from NSX-V to NSX-T. This fifth release of NSX-T delivers advancements in networking, security, automation, and operational simplicity for everyone involved – from IT admins to DevOps-style teams to developers. Today, NSX-T has emerged as the clear choice for customers embracing cloud-native application development, expanding the use of public cloud, and mandating automation to drive agility. 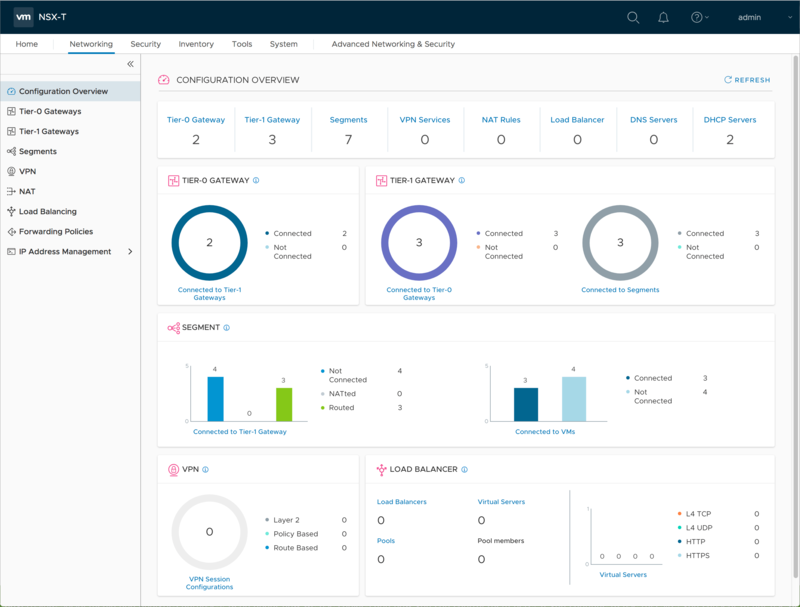 NSX-T 2.4 introduces support for advanced security capabilities such as Layer 7 application context-based firewalling, identity-based firewalling, FQDN/URL whitelisting, guest introspection, and E-W service insertion. The FQDN/URL whitelisting feature applies to E-W traffic in the distributed firewall and it enables customers to allow/whitelist specific traffic going from a VM to a specific FQDN or URL. Benefits of this feature include support for communication to a different system/application in a multi-site environment, support for applications that use native cloud services, and support for URL domain on the internet. NSX-T Data Center 2.4 provides a variety of new features to provide new functionality for virtualized networking and security for private, public, and hybrid clouds. Highlights include a new intent-based networking user interface, context-aware firewall, guest and network introspection features, IPv6, highly-available clustered management, profile-based NSX installation for vSphere compute clusters, reboot less maintenance upgrade mode of NSX for vSphere compute, new in-place upgrade mode for vSphere compute and a migration coordinator for migrating from NSX Data Center for vSphere to NSX-T Data Center. Benefits of this feature include support for communication to a different system/application in a multi-site environment, support for applications that use native cloud services, and support for URL domain on the internet.